We're very pleased to be able to offer a record cleaning service to our customers. 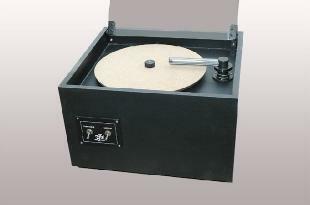 For sometime now we've been using our record cleaning machine (RCM) to clean the records that we sell. We'd now like to extend this service to you. An initial dry dusting with a carbon fibre brush. A wet wash with a safe and effective cleaning solution using a VPI 16.5 Record Cleaning Machine. If stubborn dirt remains, additional wet washes will be applied. The record will then be vacuum dried on the VPI 16.5. This removes the solution and debris from the record. If required, the record will be rinsed in distilled water and given a second vacuum dry. The clean record will be placed in a Nagaoka No. 102 anti static sleeve. The original sleeve will of course be returned. 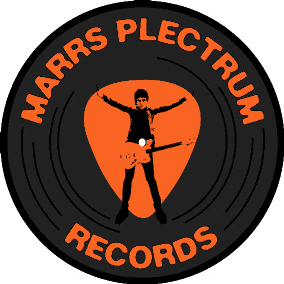 This service costs £2.99 per record with a minimum order of 5 records per session. Discounts available for larger orders. We would normally expect to complete the clean within one working day. Records can be dropped off and collected by local customers or by mail order. Please email or call to arrange. One of the joys of record collecting is finding our beloved slices of vinyl in the strangest of places. Not every record sits on the turntable after being freshly liberated from a sealed sleeve. No, they come from garages, lofts, sheds, charity shops, car boot sales, jumble sales etc. Often these records will have all manner of debris hidden in the grooves. That debris gets between the needle and groove causing distortion and permanent damage to the music. The damage done by playing dirty records can become permanent. Have you ever noticed that a record pops at the same point each time it's played? No visual signs of a scratch at that point? That may well have been caused by the needle going over a contaminate which could have been simply removed. Having your records cleaned profesionally is a simple and cheap way of protecting your precious investment and allows you to enjoy a sound as close the original source as possible. It should be noted that no cleaning process will repair damage to the record. Scratches and scuffs to the record surface have already become permanent. All that we can do is prevent any further damage. Centre labels are not cleaned during the process. In fact, great care is taken to ensure that they are avoided during the process. This machine has been in constant production for over 30 years and has won numerous awards from audiophile publications. Powered by a high-torque turntable engine to allow heavy, but safe, deep scrubbing of the records grooves. It has a self aligning vacuum tube which automatically adjusts to accommodate the thickness of the vinyl. It's for a good reason that these sleeves have become the most popular choice of audiophiles over the years. Poor quality record sleeves can gather dust and static, the exact elements that we're trying to combat. Nagaoka treat their record sleeves with an innovative static prevention process to eliminate static electricity.